With the help of Confucius Institute at the University of Latvia and Confucius Institute Management Office of South China Normal University. 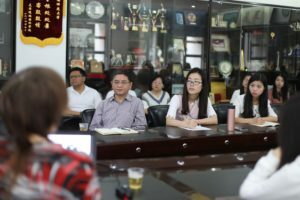 On the morning of April 20, 2018, the 14th International Forum on Chinese Language, jointly organized by the International Culture Academy and the Key Laboratory of Chinese Learning and International Promotion, was successfully held in the meeting room of the Tianjiabing Education Academy. The forum invited the Associate Professor Agita Baltgalve of the Department of Asian Studies of the School of Humanities of Latvia University, to share the “Sinology in Latvia”. 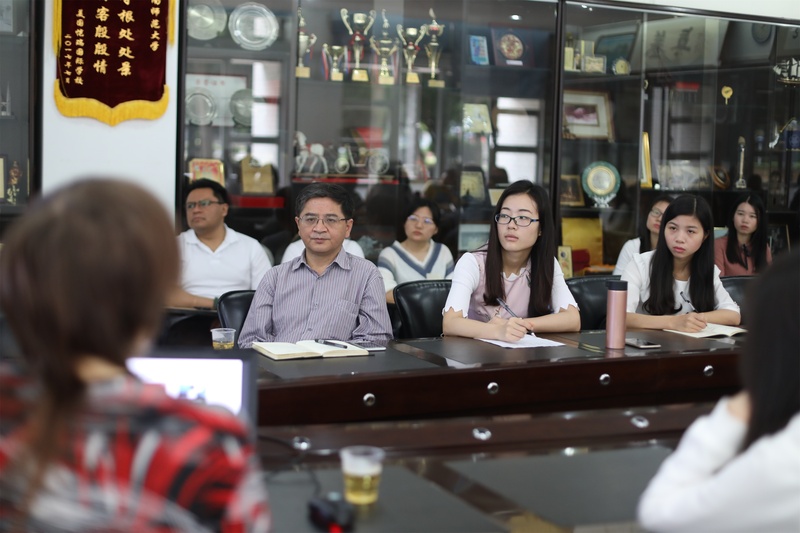 Professor Li Li, director of the Key Laboratory of Chinese Learning and International Promotion hosted the seminar. 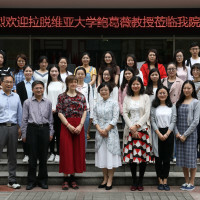 Director of the Chinese International Education Institute, professor Wang Baohua and some teachers as well as students attended the forum. Associate Professor Agita Baltgalve is not only a teacher of the Asian Studies Department, but also the director of the Centre for Research of India and the member of council of the Confucius Institute at the University of Latvia, who can be regarded as the third generation of Sinologists in Latvia. 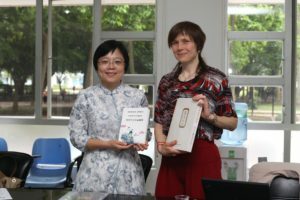 Her publications, including Modern Chinese Course, Introduction to Classical Chinese, translation editions of Chinese Traditional Short Story translation and Selected Contemporary Chinese Works, have made great contributions to Chinese teaching and development in Latvia. In this forum, Agita Baltgalve first introduced the history of Latvia, the outline of Sinology development at the University of Latvia, the experts of Latvian sinology and their academic achievements, and a brief introduction of Confucius Institute at the University of Latvia. She pointed that Latvia’s sinological studies are closely related to the country’s political, economic, and social development. Since the independence of Latvia in 1918 and the establishment of the University of Latvia, Professor Pēteris Šmits of the University the first generation of sinologists of Latvia, has started to study Chinese grammar, laying the foundation for the study of Sinology. Later, as the relationship between Latvia and China continued to deepen and grow closer, the second generation of Sinologists such as Pēteris Pildegovičs, Edgars Katajs and Jelena Staburova have greatly promoted the development of sinology in Latvia in different fields. From different perspectives, Chinese knowledge and culture were disseminated to Latvia. 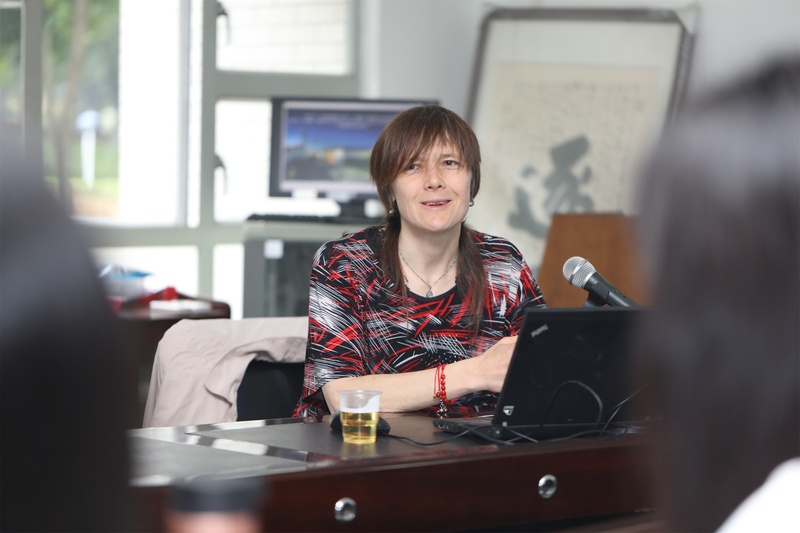 In the lecture, Associate Professor Agita Baltgalve also briefed on the courses of the current Sinology program of the University of Latvia and the direction of employment of Chinese students after graduation. She stated that as Latvia needs more Chinese talent to meet the needs of various industries including translators, guides, government departments, embassies, development agencies of Latvia, educational institutions, and Chinese companies, so it is still necessary to continue to promote Chinese teaching in Latvia. And Associate Professor Agita Baltgalve also welcomes all Chinese teachers who can speak English well to work in Latvia for enriching Chinese teaching. In the exchange session, teachers and students raised many interesting questions and the atmosphere at the scene reached a climax. After the meeting, Professor Li Li, on behalf of college, to exchange books with Agita Baltgalve. This sharing conference greatly enhanced the understanding of Latvia and its sinology development by Chinese teachers and students, deepened the relationship and friendship between South China Normal University and the University of Latvia, and promoted the deepening of cooperation between China and Latvia. 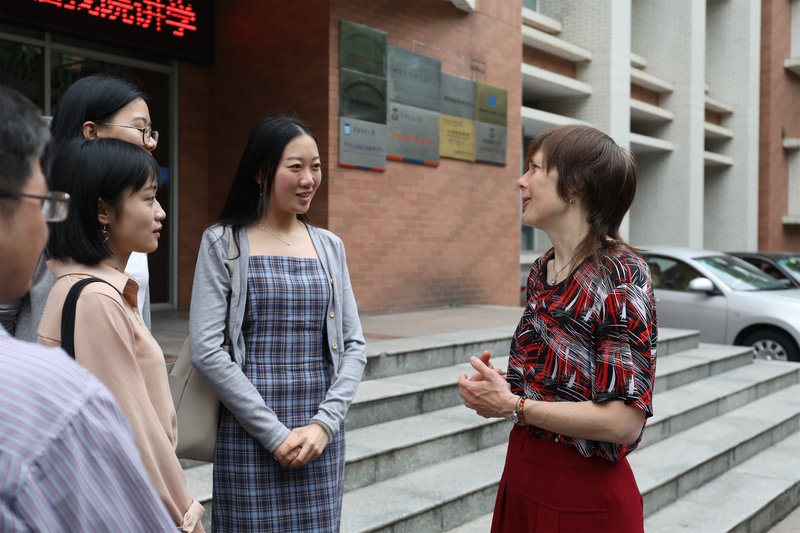 With the continuous deepening of exchanges, we believe that in the future, the international influence of the Chinese teaching will continue to increase. The Confucius Institute at the University of Latvia will inject new vitality into Chinese teaching and Sinology studies. The cooperation of the University of Latvia and South China Normal University will create a more brilliant future for cultural exchanges and communication.